A tutorial on how to use the Storybook tool as a means of templating and driving forward your development efforts. Read on to get started! 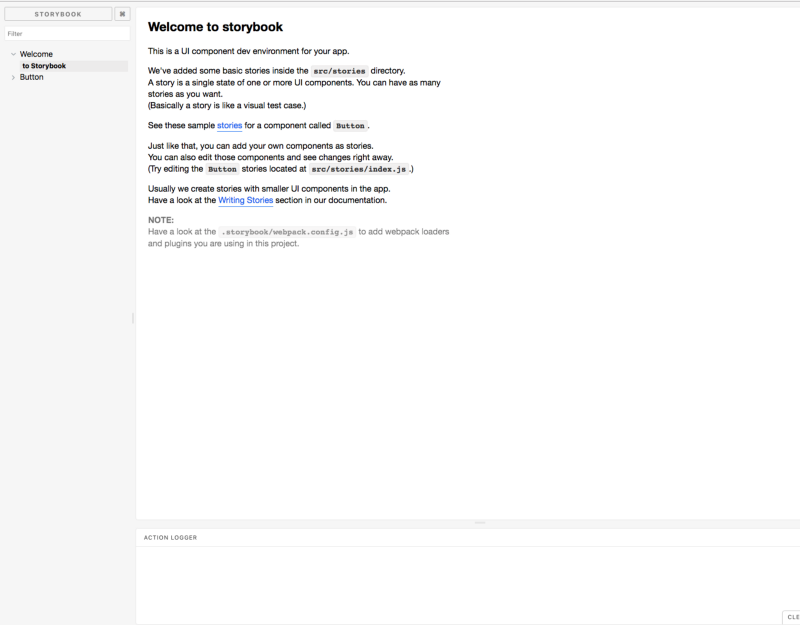 So a few weeks ago, while having a discussion with my team about the approach to developing self-contained React components, I came across this awesome tool: Storybook. To my surprise, I had seen this before, in the example of react-dates. Storybook is basically a playground for developing your components and their behavior. It also serves as documentation for your component library. You can showcase your components and their different alterations that are linked to props. After playing a bit with Storybook and watching this talk on Storybook Driven Development, I decided to make a practical guide on how to get you started. The withInfo addon provides you with extra information about your component. You can set a description for your component and see the original JSX as well as the props the component supports. Viewport is also a very useful addon because you can test the responsiveness of your components. It provides device viewport simulation just like the one in Chrome. PS: All the code for this article can be found on this repo. Published at DZone with permission of Juan Castellanos . See the original article here.